Zihuatanejo (see wah tah NAY ho) is located in the Municipio of Zihuatanejo de Azueta in the state of Guerrero on the Pacific Coast of Mexico about 240km (approx. 144 miles) northwest of Acapulco. The modern tourist resort of Ixtapa (eeks TAH pah) is only 5km away. This part of the coast of Mexico from the Río Balsas to Acapulco is known as the Costa Grande. Zihuatanejo has the old-fashioned charm of traditional Mexican culture. It is a town that sprang up from a handful of families who were mostly fishermen. Fishing continues to be a way of life for a large number of families, and the increasing popularity of the area as a sportfishing destination has given new impetus to their livelihood. Ixtapa is not actually a town but rather is a planned tourist resort administered by a federal agency called FONATUR, entrusted with land sales and development as well as public administration and services for Ixtapa's businesses, residents and visitors. It is located about 7 km (a little over 4 miles) from Zihuatanejo. In Ixtapa there are several shopping centers with classy shops, boutiques, restaurants, bars and discoteques. High-rise hotels line most of the beach along with time-shares and condominiums. Modern, peaceful neighborhoods extend behind the shopping centers and back from the hotel zone. There are two golf courses and a modern marina which are all surrounded by coconut groves, family residences, vacation homes, guest inns and small hotels. is a small beachfront village about 30 miles northwest of Ixtapa with about 700 residents. It became a popular ecological vacation resort during the 1990's, and its pristine coastline is now interspersed with vacation homes, guest inns and seafood restaurants. For more information about Troncones please see my Troncones Guide. Barra de Potosí is a tiny fishing village at the extreme southern end of the 15-mile long beach known as Playa Larga at one end and Playa Blanca at the other. There is a large mangrove estuary and lagoon there which opens to the ocean. The beach is lined with many enramada (palm thatched) restaurants with many hammocks, perfect for taking a siesta during a long day at the beach. They serve the freshest seafood possible anywhere. It is a very popular place with Mexican families on Sundays especially. Here are some lovely views of Barra de Potosí and its lagoon. Until the early 1970's Zihuatanejo was a sleepy fishing village with only a handful of families and residents with some national and foreign tourists during the winter months. It was then (and continues to be) a favorite getaway for Mexican vacationers and adventurous foreigners. Zihuatanejo's main attraction is its well-protected bay where travelling boaters often spend the winter months moored in its peaceful clear waters. The bay offers various beaches for relaxation, recreation, dining, or simply enjoying the abundantly beautiful scenery and laid-back local lifestyle. The main part of downtown Zihuatanejo (referred to as "El Centro") is still rather old-fashioned with narrow streets made of paving-stones and where most people still walk to get around. The locals (and frequent visitors) still greet each other in the streets, causing a simple stroll around the block to sometimes take quite a while as they get caught up on the latest local gossip (a favorite pastime). Small groups of wandering musicians can usually be found at all the beaches and restaurants and will serenade you to romantic splendor. Their prices vary and are negotiable. They can be hired for private events or simply to serenade a loved one (an old tradition here). Their music fills the air like the scent of fragrant flowers! So please leave your boombox at home! Be sure to ask for the song "Zihuatanejo". I highly recommend reading Ian Chadwick's personal account of his Zihuatanejo experience which includes very useful information whether you're a first-time visitor or a regular. He's also included some good photos. To go to Ian's page click here. Zihuatanejo's oldest ex-pat resident Owen Lee, a former diver with Jacque Yves Cousteau before making Zihuatanejo his home in the late 1960's, offers his own personal insights on Zihuatanejo in his book "A Prisoner In Paradise". This and other works of his are available for purchase online. Click here for Owen Lee's books and DVDs on Zihuatanejo, nature and diving. There are over a half dozen ATM locations, most with multiple machines, located in the "downtown" area of Zihuatanejo as well as at the supermarket, airport, and several in Ixtapa so that getting cash out of your bank with your debit card isn't a problem. 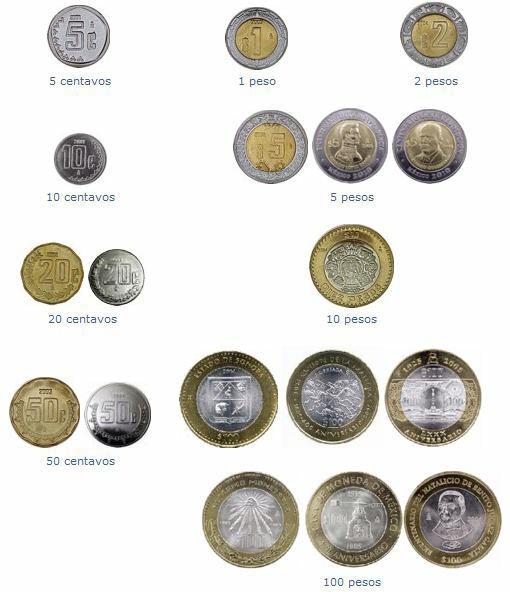 Of course they give pesos, not dollars, usually in denominations of 100's, 200's, 500's and even 1000's, depending on how much you withdraw (only HSBC, Santander and Banorte offer 50's); but the banks give the best exchange rates and an ATM is the best way to exchange money as well as retrieve it from your account back home. Travellers' Checks are no problem to cash at money exchange houses, and are recommended if you're going to be carrying "travelling money" since they're replaceable in case of loss or theft. If you plan to use your credit or debit card here it's a good idea to advise your bank of the dates that you plan to be in our region so that they don't interrupt your ability to use their services. Banks sometimes put an automatic "hold" on their customers' credit and debit cards when they are used outside the country or even long distances from the customer's address. A money exchange house is called a "casa de cambio." The money exchange houses don't give as good exchange rates as the banks, so if you're changing large amounts of currency I definitely recommend taking the time to go to one of the local banks instead of the money exchange. Be advised that the ATM's often run out of cash on weekends & holidays. To see a currency converter for all major currencies please click here. To see exchange rates offered by our local banks please visit their sites listed in my directory of banks. To see the latest notices from the U.S. State Department and the U.S. Embassy in Mexico please see The Diplomatic Pouch. Mexico is currently divided into four time zones. Most of Mexico, including the State of Guerrero, is located in the time zone which corresponds to the Central Time zone of the U.S.A. Our local "standard time" is GMT -06:00. You will see that time here is often written in the same form as "military time". For example, a movie which starts at 9 PM will usually be listed throughout Mexico as starting at 21:00, but we will most often say "a las nueve de la noche" (at nine in the evening). Our equivalent of "daylight savings time" is called horario de verano, and it lasts for a period of seven months each year. It begins at 02:00 (2 AM) on the first Sunday in April (when we set our clocks ahead one hour) and lasts until 02:00 on the last Sunday in October (when we set our clocks back one hour) throughout the country, except in Sonora. Some border cities change their time on the same dates as the USA.